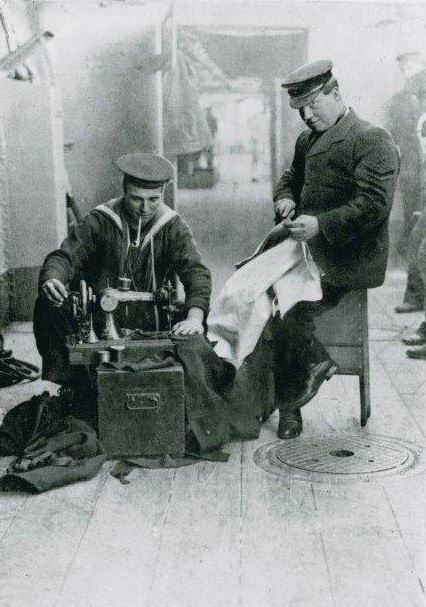 Here is an image of sailors who were serving in HMS New Zealand c 1913. This is the true spirit of a Make & Mend not shooting off home to mow the lawns. Thanks to the Navy Museum for the image. I remember John Titmus using one of those machines to repair flags on Blackpool. He wasn’t too bad either at sewing.